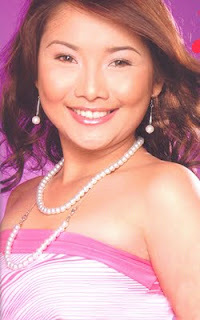 Wow...congratulation Ms.Charice Pempengco...you are now crowned as a pop princess in new york.luv yah. Introducing Erick Santos...a Filipino singer, actor, commercial endorser, and the winner of the ABS-CBN program Star In A Million Season 1 . 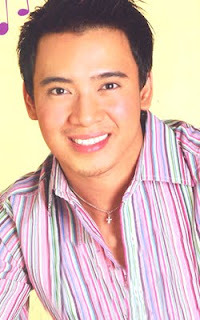 "Rhoderick Ramos Santos" called as Erik Santos was October 10, 1982 in Malabon City, Philippines.He is a Filipino singer, actor, commercial endorser, and the winner of the ABS-CBN program Star In A Million Season 1 in January 2004. At the young age of four, Santos passion for singing started when he was a child in Malabon. He participated in numerous small-town singing competitions.This Is The Moment… is what Erik always has to remind himself of, as he savors every winning performance. He studied at the Centro Escolar University and took up dentistry but he shifted into nursing at the Emilio Aguinaldo College. But unfortunately he stop studying because of his busy schedule. Eventually, Erik is now back in school because he realizes that he is the only family member left who doesn't have a degree. He wanted to pursue his dentistry but his busy schedule won't allow him, so he shifted into B.S. Psychology in Centro Escolar Universitywow nice. 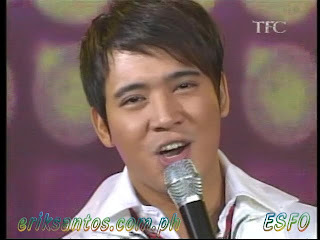 On October 19, 2007, Santos staged another major concert at the Araneta Coliseum entitled Erik Santos... Solo at the Coliseum with Sam Milby, The CompanY, Nyoy Volante, Danita Paner, and si Ai-Ai de las Alas as guests.Okey thats all for my Idol artist Erick Santos...smile God bless . 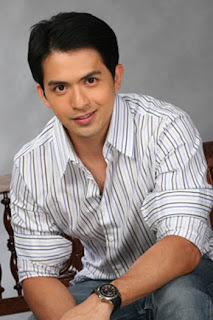 Abelardo Dennis Florencio Ho or more famously known as Dennis Trillo was born May 12, 1981 in Quezon City, Philippines.He is a television singer and film actor in the Philippines. 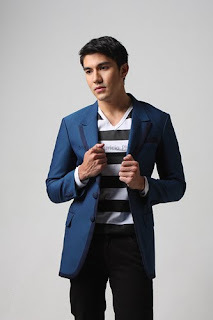 He is currently an artist of GMA Network, his rise to fame was proven in 2006 when he won the Best Actor trophy thrice that same year defeating heavy contender, Piolo Pascual, Making him the only non-veteran actor to defeat Piolo Pascual in the said feat.Trillo comes from a well-off family. He finished his high school in Jose Abad Santos Memorial School in Quezon City, and he spent his grade school years at the Ateneo De Manila University. He has a B.A. in International Studies from Miriam College.He is a Chinese Filipino. His mother is a Filipino and his father is Chinese. In September 2007, Dennis Trillo admitted that he is the father of the baby of Carlene Aguilar, named Calix Andreas, in an exclusive interview with Showbiz Central. His career in entertainment started in 2000 at ABS-CBN, when he was introduced as one of the young talents for the 10th batch of Star Circle, ABS-CBN Network’s artist machinery (now known as Star Magic). His biggest breaks came upon his transfer to GMA Network wherein he became one of its contract stars. He was cast in several television outings like Kahit Kailan, Twin Hearts and Love to Love. He was again cast as a lead in Etheria, where he portrayed the Sapirian prince, Raquim, previously donned by Richard Gomez. Midway through the series, GMA Network management announced that Trillo would be pulled out of Etheria to once again star opposite Angel Locsin (who played Darna) in Majika, another fantasy-themed television series. He also had dealt with nasty gossip. One is that he had a son with a model and he other is questioning his sexuality. Trillo reunites with former love team Angel Locsin as they top-bill in GMA Network’s newest offering, a television fantasy series aptly called Majika. Recognizing his passion for making music, GMA also included him as a co-host for the network's noontime show "SOP" where he also displays his talent for drums as part of the show's Starband. He made a "Lenten Presentation" in GMA-7 entitled "Unico Hijo" which he played the role of Agnes, a gay, an AIDS victim, son of a well-known politician in their province. On April 27, 2008, 5,000 tourists and residents at the Mactan, Cebu Shrine, viewed the "Battle of Mactan" play, where Manny Pacquiao acted as Lapu-Lapu, while Dennis Trillo played Ferdinand Magellan. In Late 2008, Dennis starred in "Gagambino" where he played the main character. The series ended in Early 2009. After Gagambino, Dennis star in the comedy, "Adik Sa'Yo" where he is paired with Jennica Garcia as a loveteam. After Adik Sa'Yo, he plays the new character Pancho in Darna where he works with Marian Rivera. Trillo replaces Dingdong Dantes as one of the hosts in StarStruck V where Dantes, one of the original hosts of its show, will replace Richard Gomez for Family Feud.wow nice ...good luck to u Dennis. 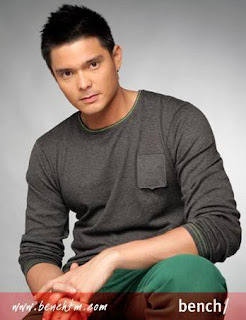 Jose Sixto Raphael Gonzalez Dantes III, popularly known as Dingdong Dantes,was born August 3, 1981 in Quezon City, Philippines.He is an award-nominated director/actor and model.He is one of the most popular and highest paid actors in the Philippines and is also one its top product endorsers.He is the son of Mr. Jose Rizal Jr & Mrs Angeline Gonzales Dantes.He began his career as a child model, appearing in a famous dairy product commercial when he was two years old. Several other commercials followed before he became part of an all-male dance group called Abztract Dancers, with his friend, actor Dino Guevarra, and his cousin, also an actor, Arthur Solinap. Their group became regulars on Eat Bulaga and That's Entertainment, making him treat German Moreno like his father. 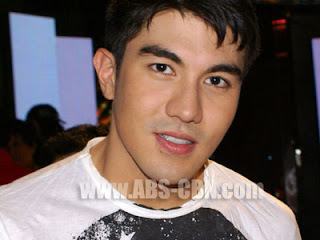 As an actor, he debuted on ABS-CBA Network's highly popular youth-oriented flick T.G.I.S. In 2001, He was paired with actress Tanya Garcia as they top-billed GMA-7's primetime soap opera series entitled Sana Ay Ikaw Na Nga. The pairing was well received and the show received good ratings. Dantes also hosts the suspense-thriller hit, Wag Kukurap, occasionally working as director. He is well-known for his role as King Ybrahim in the Encantadia fantasy-themed television saga, where he co-starred with his on-screen and off-screen romantic interest, singer-actress Karylle. He was then formally launched as image model for Bench in the "Bench Blackout Underwear and Denim Fashion Show." A few weeks after being launched by Bench, he was also launched by Ibuprofen Medicol as their newest endorser, and many other companies have shown an interest in getting him as their endorser. On August 22, 2008, Dantes was chosen as one of the 25 Sexiest Men of the World list in the Entertainment Television special. 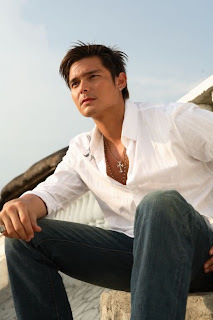 Dantes was the only Filipino in the list and the highest-ranking Asian, featuring along the world's sexiest male celebrities including Dan Carter (New Zealand), actor Gilles Marini (France), actor and fashion model Michael Lewis (Israel), singer Kostas Martakis (Greece) and footballer and model David Beckham. Dantes was placed 3rd in the list. Also in 2008, Dantes starred in a movie with Iza Calzado and Marian Rivera entitled One True Love. The Cinema Evaluation Board of the Philippines rated the film a B. It was well received by the audience and critics alike. In early 2009, Dantes appeared with Marian Rivera on Ang Babaeng Hinugot Sa Aking Tadyang. Dantes was chosen as Myx Guest VJ in August 2009 to promote his album The Dingdong Dantes Experience. Dantes was chosen to portray the role of "Cholo" in the Philippine adaptation of the Koreanovela Stairway To Heaven, which is one of top-rated koreanovelas on GMA Network garnering 40+ percent of ratings according to AGB Nielsen Philippines. This is the first time that Dantes has worked with Rhian Ramos as his leading lady. He will replace Richard Gomez as the new host for Family Feud.wow great,,,congrats ...keep up the good work Idol. Thanks ...more success to you.Take care.smile for me. He was belong to a Roman catholic religion.He is 5'11 height.wow lucky.He likes Muay Thai, Dancing, Cooking, Swimming, Scuba Diving and Working Out as his hobbies.He graduated at Batch '99 at Colegio San Agustin - Makati in high school and in college at Senior at DLSU-CSB.His course is Hotel & Restaurant Management.He join TV commercials... Libresse Feminine Pads, Lucky Me! Pancit Canton, Close-Up with Eucalyptus, Circulan, Kremil-S, One Tea, Avon, Mister Donut - Meattie Buns, Lucky Me! Pancit Canton W/ My Dad, Globe, SSS.Hosts for: Star Circle Quest , ASAP'05 , Star Circle National Teen Quest , Qpids , ASAP'06 , Tonight with the Manzanos (06), Star Circle Summer Kid Quest , Pinoy Big Brother: Celebrity Edition (06), ASAP'07 (07), Entertainment-Live , Pinoy Big Brother: Teen Edition Plus , ASAP , Entertainment-Live (08-09), ASAP XV and Pilipinas Got Talent. He inherited his prominent Chinese physical features from his mom, who is a governor of Batangas province. He's just a crazy boy. Almost up for anything, any dares or whatever. He's always laughing and trying to make people laugh. He's up both for regular talking/chatting or intellectual conversations.wow nice diba?...congrats sa'yo. Kristina Bernadette Cojuangco Aquino-Yap was born February 14, 1971.She is a Filipino television and movie personality who gained prominence from her talk shows, game shows, and numerous endorsements. In the April 2009 issue of Yes! Magazine she was cited as the second most powerful celebrity in the Philippines. She went to elementary school at Poveda Learning Centre, high school at the Colegio San Agustin-Makati and graduated from the Ateneo de Manila University in 1992 with a degree of Bachelor of Arts in English and Literature. In 1986, Aquino, at 14, made her first TV appearance on Inday Badiday's See-Tru on GMA-7. Her interview by Ate Luds on that show remains the highest rated show in the history of Philippine television, garnering 80+ ratings.She was the star of the short-lived comedy show ABS-CBN Luv Ko Si Kris. She was born to the 11th former President of the Philippines, Corazon Aquino, and Benigno Aquino, Jr., a popular opposition senator during the Ferdinand Marcos regime and now, a national hero. The youngest of five children, her siblings are Maria Elena, Aurora Corazon, Benigno Simeon III (Currently a senator from 2007 to 2013, former congressman of Tarlac), and Victoria Eliza. She is the cousin of actress and equestrienne Mikee Cojuangco and the niece of Philippine Olympic Committee president Jose "Peping" Cojuangco, Jr..
She is currently part of ABS-CBN contract actresses. She is prominently considered as the Queen of Talk, as well as Queen of All Media due to her success in different media like television, film, recording, publishing, as well as product endorsements.Finally, she made her film debut with actor-comedian Rene Requiestas in the comedy Pido Dida. This movie was a blockbuster hit and made Aquino the box office queen for that year. With her movie career slowing, Aquino shifted her sights on a television career as a talk show host launched through Kris produced by Viva Television on Channel 4 (at that time named PTV, this was transferred to GMA Network which has partnership with Viva and after Viva's contract with PTV ended). It was in GMA Network showbiz oriented talk show Startalk where she co-hosted with Boy Abunda and Lolit Solis that her hosting capabilities were noticed. At present, she is an endorser for Purefoods corned beef as well as for Union Home Appliances, San Miguel Corporation and Nestle Philippines, Inc.
She was bestowed the title of "Commercial Princess of the Philippines".In the October 2008 issue of YES! Magazine, Aquino was considered top or the leading celebrity endorser, ranking number one among the twenty popular celebrity endorsers. Aquino is the executive editor of the K Magazine of ABS -CBN publishing. "Carrying Kris celebrity equity, "K" is about getting her style, her personality, her lifestyle and her appeal. The magazine reflects the key concerns of the target marget presented by Kris herself: beauty, fashion, body, relationships, career, money and self." After her GMA and Viva contracts expired, she went back to media conglomerate and GMA Network's rival ABS-CBN which noticed her undeniable hosting wit, offered her a contract and launched Today with Kris Aquino. She also hosts Boy & Kris, a morning talk show that replaced Homeboy, together with Boy Abunda, and Be Bench/, a model search show together with Piolo Pascual. Nestor Torre, a known critic of the Philippine Entertainment industry, pointed out that Aquino took a lot of risks when she chose to give up her two former shows. The critic pointed out that giving up The Buzz and Pilipinas, Game KNB? deprived her of the major exposure that those two popular shows afforded her. She hosted another TV franchise Wheel of Fortune, which incidentally replaced Kapamilya, Deal or No Deal. She said in an interview that she was a huge fan of the U.S. version and was thrilled to bring the show back to her country. (Wheel of Fortune had already had one 2001-02 run in the Philippines, which was hosted by Rustom Padilla and Victoria Wonderheim.) She hosted Showbiz News Ngayon on its newest season. In October 2008 after former The Buzz co-host Cristy Fermin was suspended by ABS-CBN, the Kapamilya network asked Aquino to once again host the top-rated showbiz oriented talk show together with Boy Abunda and Ruffa Gutierrez. After much controversy, Aquino hosted The Buzz again starting on October 26, 2008. In the mid-1990s, she was involved with a Purefoods basketball player, Alvin Patrimonio, who was then married. She was involved with then-Parañaque mayor (ex PBA basketball player and actor/tv host Joey Marquez) who was, at that time, married, and whom she later split with in a tumultuous ending. Aquino made her admission about her relationship with the married Marquez in an interview by former co-host Korina Sanchez on the ABS-CBN newscast TV Patrol wherein she revealed, among others, that Marquez infected her with a sexually transmitted disease. She also had a live-in relationship with married actor Phillip Salvador with whom she has a son named Joshua. She is now married to Philippine Basketball Association professional player James Yap of the Purefoods Tender Juicy Giants. James Yap is almost 10 years younger than her. They had their civil marriage on July 10, 2005. The following year, she announced on The Buzz that she was pregnant. On April 19, 2007, Aquino gave birth to her first son by Yap on 5:52pm at Makati Medical Center in Makati City.Her son was named after his father and affectionately known as "Baby James". However, in early 2007, their marriage was rocked by the revelation of a former medical clinic receptionist that James Yap had an extra-marital affair with her.James vehemently denied such affair in on interview with ABS-CBN's Korina Sanchez. Aquino suffered a miscarriage with collapsed gestational sac and blighted ovum on March 25, 2008, a day after she announced that her mother was diagnosed with colon cancer. Being successful in her TV and movie career, Aquino ventured into several businesses. She owns Lena Restaurant and Sencillo, a Mexican restaurant in partnership with several celebrities, and Roberto Antonio, an upscale flower shop in partnership with Boy Abunda. She established a boutique ad agency in partnership with Boy Abunda but also including Nonon del Carmen and Agnes Maranan, and have decided to call it MAD (an acronym for their surnames, Maranan Abunda Aquino del Carmen). She and Abunda with other partners own Sierra Madre Water, a miracle water for life.Ok thats all ...keep up the good work Ms. kris...God bless u and God bless u. 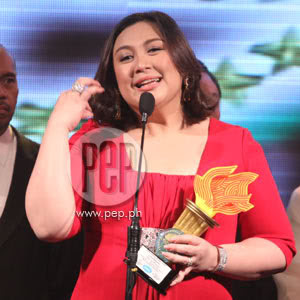 The Megastar of philippine entertainment Introducing ,Sharon Cuneta...yeah congrats! 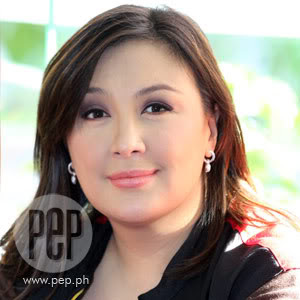 Sharon Cuneta-Pangilinan born Sharon Gamboa Cuneta on January 6, 1966.She is a popular Filipino singer, actress and TV host dubbed the "Megastar of Philippine Entertainment". She is noted for being one of the few ABS-CBN stars who never defected to another network.Her mother, Elaine Gamboa-Cuneta, hails from Santa Ana, Pampanga while her father Pablo Cuneta , was a mayor of Pasay City for four decades. She is half-Tagalog on her paternal side and one-fourth Kapampangan and one-fourth Spanish Filipino on her maternal side. Sharon grew up surrounded by music, listening to her dad's collection of 45s, 78s and 33 1/3s. Her aunt is '60s Shingaling Sweetheart Helen Gamboa. Sharon the tot made her first TV appearance in Kuya Ike Lozada's show, in the Bulilit portion, where she mimicked her Tita Helen's songs. Sharon was just as young when she appeared in her first movie, the Rosanna Ortiz-George Estregan starrer Lovers for Hire. She played one of Roderick Paulate's playmates. She attended the International School in Makati and the University of the Philippines.Sharon first appeared on Philippine pop charts in 1978 as a 12 year old, singing "Mr. D.J." which was very popular and earned her the title of "D.J. 's Pet" (which was also the title of her first album). Other hit albums followed, and Cuneta was asked to sing on many movie soundtracks of the time - becoming the first "movie soundtrack star" in the country. In 1988, Sharon did a Lux soap commercial, where she took a bubble bath and said "her" skin belongs to Lux". She starred in projects from Viva Films. At age 15, her first feature film, 1981's Dear Heart paired her with fellow teeny-bopper Gabby Concepcion. The movie was a huge success thus crowning her as the Popular Teenage Queen of RP movies by Guillermo Mendoza Memorial Scholarship Foundation, Inc. (GMMSF). Her early movie roles launched her as a "poor little rich girl". Although raised in an influential rich political family, she appealed to the sosyal (socially rich) and masa (poor masses) crowd of Philippine society, with her intelligence, humor and down-to-earth personality. Sharon's late father, Pablo Cuneta, was mayor of Pasay City for four decades. He died at the age of 90 in September 2000. She gave birth to her second child Simone Francesca Emmanuelle (Frankie) in December 2000 and her third daughter was born, Mariel Daniella Sophia (Miel), in September 2004, and decided to leave her television show. In 2002, at age 36, Sharon was given a Lifetime Achievement Award by the Board of Directors of the Phil. Association of Recording Industry via the Dangal ng Musikang Plilipino Award on her 25th years in music industry. In 2003 she made a film with independent producer Unitel Pictures entitled Crying Ladies. With this film she won a Best Actress award from The Brussels International Independent Film Festival held in 2004. Prior to that, she was awarded Best Actress locally by PASADO Awards and People's Choice in the 2003 Metro Manila Film Festival. On January 6, 2006, The Megastar returned to television from her maternity leave with a 40th birthday celebration on ABS-CBN's Ang Pagbabalik Ng Bituin ("The Return of the Star"). The following month, a new talk show entitled Sharon aired, which she still currently running. After a long rest from filmmaking, she made another movie entitled Caregiver in 2008 which, according to ABS-CBN, is their most expensive film. In this film, Sharon played the role of a school teacher working abroad as a caregiver. The movie was a certified blockbuster making it one of the highest grossing films of 2008. Maria Katrina Iren Pe Halili known as Katrina Halili was born on January 4, 1986.She is a Filipina actress, commercial model and music producer. She made her screen debut via StarStruck, but did not gain popularity until playing the antagonist roles in Darna, Majika and MariMar and becoming the protagonist in One Night Only, Gagambino and Magdusa Ka. She is rumored to play the lead role in the TV Remake of Carlo J. Caparas's Angela Markado, but there's no confirmation yet whether it is Katrina who will play the lead role, but it is a hundred percent that GMA Network will be doing a remake of Angela Markado soon. She also part as the newest cast of Darna together with Dennis Trillo. She will play Valentina's fully-grown younger sister Serpina.Thats all thank you. Marian Gracia Rivera popularly known as Marian Rivera .She was born on August 12, 1984 in Madrid, Spain.She is a Filipina actress.She was born to Francisco Javier Gracia Alonso, a Spaniard and Amalia Rivera, a Filipina of Cavitena descent. When her parents separated two years after her birth, Marian Rivera and her mom left Spain and flew back to her mother's home town in Cavite. She finished Bachelor of Arts in Psychology at De La Salle University-Dasmariñas. Marian is an only child. She and her father did not talk for five years, but at a birthday concert for her and Dingdong Dantes, her father greeted Marian which made her break down in tears. Her father greeted her in Spanish, although he speaks fluent Tagalog. Rivera first starred in an afternoon soap operas for TAPE Inc. and GMA Network including Kung Mamahalin Mo Lang Ako, Agawin Mo Man Ang Lahat and Pinakamamahal along with Oyo Boy Sotto. She was also seen in Enteng Kabisote 2: Okay Ka Fairy Ko: The Legend Continues, also with Oyo Boy Sotto. 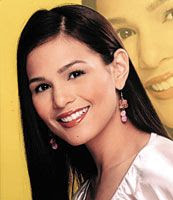 Later GMA Network cast her into mother roles for the afternoon Philippine-Malaysian drama Muli with Alfred Vargas and Super Twins were Jennylyn Mercado and Nadine Samonte play as her twin daughter.In 2007, when Angel Locsin did not renew her contract in GMA she left a big role and a primetime show which is Marimar. Marian signed an exclusive contract with GMA after appearing in TAPE teledramas. Marian starred the title role of Marimar, which premiered on August 13, 2007 reached 52.6% ratings on its finale. Later, She was awarded in GMMSF Inc. in the 38th Box-Office Entertainment Awards. 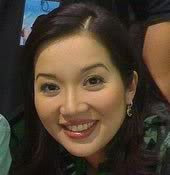 In 2008, Rivera played the role of Dyesebel. Dingdong Dantes, who was her leading man in MariMar, pairs up with Marian as Fredo. Rivera played the role of a mermaid under the ocean. It aired on April 28, 2008.She was seen with Dingdong Dantes in their 3rd drama show together, "Ang Babaeng Hinugot Sa Aking Tadyang". Just last April 23, 2009, GMA-7 Senior Vice President (SVP) for Entertainment announced that Marian Rivera is television's newest Mars Ravelo's Darna.The most anticipated and most awaited Pinoy Superhero is back, Darna portrayed by Marian Rivera will take off this coming August in Primetime teleserye together with Mark Anthony Fernandez and Buboy Villar as ‘Ding’. 2006, Rivera signed a contract for Regal Films that she was cast in the horror movie, Pamahiin along with Dennis Trillo and Iya Villania. Rivera also starred in two MMFF movie entries such as Bahay Kubo and Desperadas. In 2008, Rivera starred alongside Richard Gutierrez in the romantic comedy My Best Friend's Girlfriend. Rivera also filmed a movie with Dingdong Dantes and her Desperadas co-star Iza Calzado, One True Love. She has been compared to Angel Locsin, who rose to fame in GMA Network's Darna and has since been working with rival network ABS-CBN, which the two are trying to avoid.Rivera was offered the role of Darna in a spin-off series Captain Barbell Meets Darna. She wanted to accept the role, but was concerned of the comparison with Locsin. In 2009 she then played the role of Nieves, The Engkanto Slayer in a title episode of Shake, Rattle & Roll X, an MMFF entry, where she received praises due to her comic timing. She also worked with singer and songwriter Ogie Alcasid and the Desperadas cast, for the sequel, second movie of Desperadas"
Rivera is slated to star in the following movies of Regal Films: Tarot (August 26, 2009) opposite Dennis Trillo and The Other Man, alongside Carla Abellana. Many types of used car offered in a cheapest price is now available.Check this out. Hi guys ,I found an online site today that offered many types of second hand cars in a cheapest price only plus easy to reach them for it was online. Please I welcome you to visit this site used cars and this one used ford cars and another one used volkswagen cars enjoy choosing your favorite cars here, buy now ,they also have used bmw car another type used vauxhall I guess you like some , so come and give them a try now also they have used mini,they also have new offered cars this is the right time and place for you to buy. Maria Izadora Ussher Calzado is a filipina actress, model ,tv host and etc. Quezon City, Philippines.She was named after the legendary dancer, Isadora Duncan. Iza Calzado is a Filipina actress, Model, Actress, TV Host.Her father is choreographer and TV director Lito Calzado and her mother was the late Irish-Spanish-Filipina, Mary Ann Ussher. Her brother, Dash Calzado, is a member of Legit Misfitz, a Pinoy rap group. In the late 1990s, she finished her high school in Miriam College and then completed her undergraduate education in the University of Santo Tomas with a degree in Fine Arts.Before entering show business, she worked as a dubber for a Mexicanovela. She started out as a guest teen star in the now defunct show, Click, which led to further roles. Her inclusion in the drama Kung Mawawala ka made everyone notice her acting skills thus making GMA decide that she should be given lead roles. Many believe that she acts like a veteran actress and is lucky enough to do challenging projects. Despite the fact that most of her TV assignments in GMA 7 cater young adults she still impresses entertainment authorities with her dramatic prowess. When it comes to preferred roles, Iza looks for offbeat ones such as a madwoman or a drug addict. In some of her earlier movies she portrayed a drug user in (Blackout) and a prostitute, (Mona in Singapore). Calzado was the leading lady of F4 member Ken Zhu in the movie to filmed in the Philippines, "Batanes: Sa Dulo ng Walang Hanggan" of Ignite Media Films, with director, Adolf Alix. Iza just finished Impostora and returned to the country on September 23, 2008. On January 18, 2008, Iza Calzado won the Model Star Award from the Korea Asia Model Award Festival.wow ha...nice diba...congrats po sayo.Keep up the good work at saka maintain your beauty.And ganda mo ,,,my sister Admire you. Rufa Mae Quinto is a Filipino actress and comedienne. Rufa Mae Quinto was born May 28, 1978.She is a Filipino actress and comedienne. She started her showbiz career after landed a spot in That's Entertainment (1986). Her biggest break was Gloria, Gloria Labandera (1997). She is widely known in playing the character "Booba" and "Boobita Rose" in both of her movies with the same title. She is one of the most bankable stars in the industry with top grosser films like Apat, Dapat- Dapat, Apat, Pasukob, Desperadas, Manay Po 2, I.T.A.L.Y. & Desperadas 2. She is known for her funny expressions such as "Ok, fine", "`Todo Na To", "Pasensiya Na", "Para sa Bayan", "Move on", "GO GO GO" and "To the highest level!". Although she is a talent of GMA Network, she is one of the few actresses managed by Boy Abunda, a personality from the rival TV station ABS-CBN. Okey that's all about her.Thanks and smile. Available Lorado Tonneau Cover or truck cover.Check this out. Hi guys, are you looking for truck covers or Lorado Truck Bed Cover? Is now available. You can choose many as you wanted, for they have 1000’s items available plus only free shipping. Isn’t that great? So please come and visit them now for more clarification at lorado tonneau cover give them a try now. Don’t you imagine how great is their product offered? It's useful thing.I assure you won’t regret if you do. So what are you waiting for? You’re very welcome to them guys. Don’t worry they are easy to reach as they are online anytime. Good luck to you guys. I enjoy surfing the net today and was glad I found an online site that offered lemon juicer good for juicing fruits.For the fastest and easy way to make fruit juices you can have this lemon juicer. This is a good thing to help a healthy juicing lifestyle. But there are two variations of lemon juicer the manual and electric.So for more information just visit this site lemon juicer yes nice. So for best results give them a try now, I know lemon juicer is a great help to us, just to save our time and energy.Hows that? Isn’t that great? So I welcome you to visit them now. Anyway don’t worry it’s free shipping. 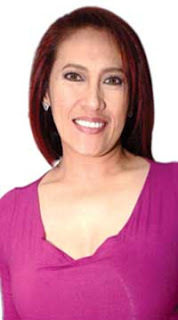 Martina Aileen de las Alas was born 1964, popularly known as Ai-Ai de las Alas, is a Filipino comedienne and film actress.The daughter of Rosendo de las Alas. She was married to actor Miguel Vera.She has three children with ex-husband Miguel Vera. She is dubbed with many titles including "Comedy Concert Queen", "Tanging Ina" and "Comedy Box-office Queen". With her sold-out concerts and top comedy grossing movies, she is dubbed as the Philippines' Comedy Queen. Aileen has done several movies before but her biggest break came with the release of her very first solo film entitled Ang Tanging Ina produced by Star Cinema, ABS-CBN film productions. It was followed by more comedy films like Volta where she plays a superhero, which was followed by a TV series. Also, in television shows like MTB: Ang Saya Saya in where she was one the lead host, and played an important role in the TV remake of Bituing Walang Ningning as mother to Sarah Geronimo. All of these were made thru ABS-CBN. She also released her first album with Star Records entitled Ang Tanging Ina Nyo, featuring six novelty tunes. Aside from the first hit single "Tanging Ina Nyo", the album includes the upbeat tracks "Volta", "Dance-phabet", "Tong Twalya", "Si Manloloko" and "Super Papa". All the songs in the album are infused with humor. Since the release of her successful launching movie, she had starred many movies like Ang Cute Ng Ina Mo, Ang Tanging Ina N'yong Lahat and Pasukob. With these breakthrough success, she also had her own solo concert which was a big hit, that's why she got the title as the "Comedy Concert Queen". And because of her hit movies and solo concerts, she was known as the "Philippine Comedy Queen".